Fresh on the heels of the brutal beheading of a non-Muslim woman by a devout Muslim co-worker in Oklahoma comes this outrage from the jihad-in-chief. For those you who might have missed that is going on in the beheader’s terror mosque, read this and watch that — Robert Spencer has the 411 on the jihad recruitment center, ISGOC. The mosque taught/supported the caliphate, hatred of the United States and Israel. Members were that taught that according to Islam, three choices are to be given to non-Muslims: convert, pay the jizyah tax and live under Islamic rule, or jihad. Mosque members said that if Osama bin Laden showed up at the door and needed help, he would help him because he is a Muslim brother. Once a former member went target shooting AK-47’s with two other Muslim converts — the targets were labeled George W. Bush and Ariel Sharon. They were taught that Islam would dominate the world and for unbelievers there are three choices: conversion, subjugation under Islamic hegemony, or death. The ex-member got this straight from the “moderate” imam Soheib Webb, now of the Islamic Society of Boston, the Tsarnaev brothers’ mosque. Obama is sending a special envoy to the mosque to thank them. This is how it goes in America today: a Muslim screaming what were reported as “Islamic phrases” beheads one woman and is in the process of beheading another before he is stopped. The beheader’s Facebook page shows his allegiance to the Islamic State, Osama bin Laden, the Taliban, etc. A former member of his mosque comes forward with information about how the mosque teaches jihad and Islamic supremacism. And then what happens? An investigation of the mosque? The imam questioned as to whether he knew the beheader, and the beheader’s phone and email records checked for contact with mosque leaders? An examination of the teachings of the mosque to see if the beheader was incited to violence by what he heard there? No. A White House official flies to Oklahoma City to read a thank-you letter from Obama to the mosque, so as to “reassure” Muslims in Oklahoma. Who is reassuring American non-Muslims that this case is being adequately investigated and properly classified as an act of jihad terrorism? No one, of course. More Than 97 Reasons Why Barack Hussein Obama Is A Traitor. The treasonous acts by Obama start with him and his conspirers hijacking the political process by registering as Democrats when, in fact, they make up a combination of socialists, progressives, communists, Marxists, anarchists, and UN-American detractors. A prime example of this is how Obama originally campaigned with the “Democratic Progressive Party” (DPP) scattered all throughout America, although they are not legally recognized as a valid political party in America to enter campaigns which would gain them enough votes to be seated. Therefore, they deliberately schemed to hijack the Democratic Party. This was led previously in part by Rep. Bernie Sanders (I-VT), Rep. Maxine Waters (D-CA) and others who believed the Democrats were too timid to put forth their agenda, in 1991, they formed the progressive caucus within the halls of the United States Congress and used that status as a means to lend false credibility to their cause and illegitimate platform. Since becoming president, Obama has circumvented our combined Congress by recruiting and moving his supporters underground to undercut the Constitution. In doing so, Obama had no intentions of obeying the oath he took once he was in office. Long before he was inaugurated on January 20, 2009, he had already recruited his loyal followers to carry out this devious plan, and he continues to draw more of them and their money in to help him. 2. No congressional support for Libyan action (violation of the War Powers Act ). Obama lied to the American people when he said that there were no US troops on the ground in Libya and then later said they were only “logistical troops.” Obama violated the War Powers Act of 1973 by conducting a war against Libya without Congressional authorization. 3. Betrayed our allies Israel and Great Britain. Obama has placed the security of our most trusted ally in the Middle East, Israel, in danger while increasing funding to the Palestinian Authority (Fatah, an Islamic terrorist group enjoined with long-standing terrorist group Hamas). Also, Obama disclosed British nuclear secrets to the Russians in the Start Treaty by providing the missile codes of British Trident missiles to Russia. 5. Telegraphing troop reductions to enemies – against the consult of his experienced field commanders – while embracing negotiations with our enemy, the Taliban, and recognizing another, the Muslim Brotherhood. 6. Betrayal of Arizona. Obama brought a federal lawsuit against a sovereign state, Arizona, seeking to protect its citizens from this threat of mass illegal immigration. 7. Obama’s refuses to enforce U.S. law, the Defense of Marriage Act. He’s stripped America of its moral base by his support for homosexuality and the attack on marriage between a man and a women. 8. Support of an inept and incompetent attorney general (Eric Holder) who has failed to prosecute voter intimidation cases (New Black Panther Party), initiated a dangerous gun-smuggling program (Operation Fast and Furious) – which resulted in deaths to one of our own law enforcement agents. Obama allowed Operation Fast and Furious to occur, which allowed hundreds of Mexican nationals and Border Agent Brian Terry to be murdered with illegal arms given out by the ATF and DOJ. 9. Increasing the regulatory burden on American business through bypassing the legislative process with his executive branch agencies such as the Environmental Protection Agency and the Food and Drug Administration. 10. Failure to take the steps necessary to secure our borders and stem the flow of illegal immigration, termed as “repel invasions” in our United States Constitution in Article 1, Section 8 and Article 4, Section 4. Obama has failed to defend US soil in Arizona as Mexican troops bring illegals and drugs into the USA, crossing the border doing so. This is a direct violation of Article IV, Section 4 of the Constitution. 11. Inappropriately commanding the release of strategic oil reserves and providing Brazil $2 billion for its offshore oil exploration. 12. Illegally soliciting funds from within the White House ($5 dinner video fundraiser). 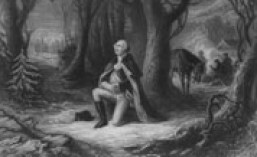 The unalienable rights endowed to us by the Creator; life, liberty, and the pursuit (not guarantee) of happiness – are being threatened by the Obama administration. This current government has abridged the consent of the governed and that whenever any form of government becomes destructive to these ends. It is the right of the people to alter or to abolish it. 13. Taking on the Supreme Court’s power of judicial review with a preemptive striking against justices who might contemplate an unfavorable ruling on ObamaCare. 15. Occidental College transcripts reveals Obama claimed foreign citizenship to get scholarship. 16. Obama’s made a secret back channel Nuclear deal with Iran, a sworn enemy of America and our Allies. 17. Obama’s offer of a seat at the table for our avowed enemy the Taliban. 18. Barack Hussein Obama’s ineligibility to be president because he was born in Kenya. 19. Obama and his Administration leaking previously classified information about our intelligence communities’ efforts to slow down Iran’s march to nuclear weaponry. 20. Obama destabilized Western Ally Hosni Mubarak in Egypt, and allowed the Militant and Anti West Muslim Brotherhood to take over the Egyptian Regime, posing a mortal threat to our ally Israel and our own Western assets and interests in the region. 21. Obama has appointed Muslim Brotherhood advisers, enemies of the State, to the White House. Aid and comfort to the Muslim Brotherhood is TREASON per Article 3 Sec III of the US Constitution. 22. Obama bypassing Congress again by Executive Decree to allow Illegal Immigrants to remain and vote in America for partisan electoral purposes and reasons. 23. Obama selling citizenship to criminals in direct opposition to Federal Law. 24. Obama and his administartion assisted Egypt in remilitarizing the Sinai, “something forbidden by the Camp David Accords”. 25. Obama has attempted to compel religious institutions to pay for abortion services — a clear violation of First Amendment rights. 26. Obama apologizing on 9/11 day to our sworn Islamist enemies, the Salafists, the same day these terrorists massacred the American Ambassador and three other American officials in the Benghazi Embassy, Libya. and ramsacked and looted the Cairo Embassy in Egypt. 27. Obama spending billions in aid on America´s enemies, while disregarding the needs of the US. 28. Obama is directly responsible for the many wars and murders of Christians in the Middle East. 29. Obama has financially ruined this country, and his actions are leading to the demise of the dollar. President Obama is either an idiot or he is purposely trying to destroy the American economy. 30. Obama is hollowing out our military, and destroying our intelligence gathering capability. 31. Obama, (aka Barry Soetoro) deliberately concealed his true illegal background to be President. 32. Criminal cover up by the White House over BengaziGate, where four Americans, including Ambassador Stevens were murdered by Islamic Extremists. 33. 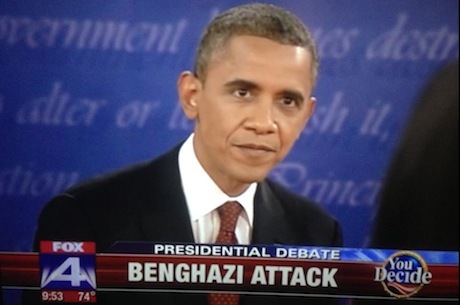 CANDYGATE – Collusion with CNN Moderator Candy Crowley at the 2nd Debate to cover up BengaziGate. 34. Obama’s Illegal Foreign Campaign money. 35. Obama Administration defining the Fort Hood Terrorist Act as a Workplace Accident, which gave succour and comfort to our enemies. 36. The Border-gate arms deal offense that resulted in the death of a border patrol agent as well as numerous innocent Mexican civilians. 37. Suspected organized and widespread election fraud engineered by Agents of the Obama Regime at the November 6th Presidential Election. 38. Obama and unrepentant terrorist William Ayers misappropriated over 300 million dollars in donations meant for the education of Chicago’s minority students. They routed the money to Obama’s community activist buddies who then tried to turn the students in radicals. The program was a total failure. 39. Obama, as an Illinois State Senator, redirected tens of millions in Illinois tax dollars to Valerie Jarrett and Tony Rezko, to provide housing for low income families. They returned the favor with political donations. The housing units were built with cheap materials and labor and are uninhabitable after a mere 10 years of use. 40. Obama accepted millions in illegal campaign contributions from foreign credit cards after the credit card filters used to screen out foreign money, was switched off. This also allowed domestic donors, who were over the legal limit, to contribute more. 41. Obama and Secretary State Clinton’s efforts to bring the US under the UN’s Small Arms Treaty are direct violations of the Second Amendment of the US Constitution. 41. Obama attempted to move control of the Census Bureau from the Commerce Department to the White House, to be managed by then Chief of Staff Rahm Emmanuel. 42. Obama had provided under the radar amnesty to illegal immigrants by allowing ICE Director John Morton to prohibit ICE officers from enforcing US immigration laws. 43. Obama allowed USAG Holder to ignore the violation of US immigration laws in the sanctuary cities. 44. Obama illegally fired the IG Walpin for investigating Obama’s buddy, Mayor Kevin Johnson for the fraud of 850 thousand dollars with AmeriCorps. 45. Obama is in contempt of Federal court for his illegal oil drilling moratorium in the Gulf of Mexico. 46. Obama spent a month as the UN Security Council Chair in 2009, which raises the question of his conflict of interest between the US and the UN. This is also likely a violation of his Oath of Office as the UN conflicts with our Constitution on many levels. 47. Obama signed an executive order in December 2009 that allows Interpol to operate in the US without oversight by Congress, courts, FBI, or local law enforcement. 48. Obama and Secretary State Clinton misappropriated and used $23 million in US taxpayer funds to help Obama’s homeland of Kenya move to a communist nation where the freedom of speech, private property rights, and other rights are subservient to “social justice”. This includes the fact that the Kenyan constitution adopted Sharia Law, which violates the basic human rights of women. 49. Obama was likely involved with then Governor Rod Blagojevich to try and sell his Illinois Senate seat. Jesse Jackson Jr is under investigation for it and it appears that Valerie Jarrett might also have been involved. 50. 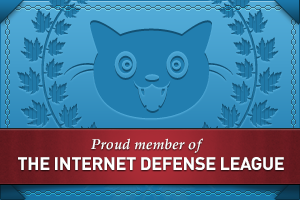 Obama ran a website that asked Americans to report on other Americans, in the area of ObamaCare, using whitehouse.gov and taxpayer money to do so. He repeated this with AttackWatch. 51. Obama got onto the Indiana ballot through voter fraud in 2008. 52. Obama sealed all of his records that would show that he is possibly an illegal president, that he is feloniously using a false SSN, that his draft registration number is false, that his Fulbright award was falsely awarded as Obama claimed foreign student status, and that his student aid was falsely obtained. More Than 97 Reasons Why Barack Hussein Obama Is A Traitor.. The first confirmed death would have been Sean Smith whose body was found some six hours before this statement was issued. It is Charles Krauthammer’s contention that at least two of the victims were still alive when Clinton’s statement was released and also during the President’s call to Clinton. I think there is a bigger story here that will in time come out. The biggest scandal of all, the biggest question is what was the president doing in those eight hours. He had a routine meeting at five o’clock. He never after during the eight hours when our guys have their lives in danger, he never called the Secretary of Defense, he never calls the Chairman of the Joint Chiefs, he never called the CIA Director, Who does he call? But five hours in he calls the Secretary of State. And after the phone call she releases a statement essentially about the video and how we denounce any intolerance. It looks as if the only phone call is to construct a cover story at a time when the last two Americans who died were still alive and fighting for their lives. There’s the scandal and that has to be uncovered. Krauthammer’s reasoning is solid. Government officials were already aware at this point that Al Qaeda linked terrorists were claiming credit for the attack. Obama and Clinton likely had to get their story straight before Clinton released her statement. “What would you be focusing on in the Benghazi investigation?” I spent many years in the investigation biz, so it’s only natural that I’ve been asked that question a lot lately. I had the good fortune to be trained in Rudy Giuliani’s U.S. attorney’s office in Manhattan. Rudy famously made his mark by making law enforcement reflect what common sense knew: Enterprises take their cues from the top. Criminal enterprises are no different: The capos do not carry out the policy of the button-men – it’s the other way around. So if I were investigating Benghazi, I’d be homing in on that 10 p.m. phonecall. That’s the one between President Obama and Secretary of State Hillary Clinton – the one that’s gotten close to zero attention. Benghazi is not a scandal because of Ambassador Susan Rice, State Department spokesperson Victoria Nuland, and “talking points.” The scandal is about Rice and Nuland’s principals, and about what the talking points were intended to accomplish. Benghazi is about derelictions of duty by President Obama and Secretary of State Clinton before and during the massacre of our ambassador and three other American officials, as well as Obama and Clinton’s fraud on the public afterward. A Library of Congress report that received almost no media attention detailed – one month before the deadly Sept. 11 attack in Benghazi – how al-Qaida established a major base of operations in Libya in the aftermath of the U.S.-NATO campaign that deposed Muammar Gadhafi and his secular regime. The report documented al-Qaida and affiliated organizations were establishing terrorist training camps and pushing Taliban-style Islamic law in Libya while the new, Western-backed Libyan government incorporated jihadists into its militias. The document named Benghazi as a new central headquarters for al-Qaida activities. Amazing. The Library of Congress reports that Benghazi, Libya is the new central hub for Al Qaeda activities in the region and Clinton and Obama insisted on trying to spin this incident. The report is 54 pages but if you would like to see it, you can find it here. The question remains the same. What Could There Possibly Be To Cover Up? Why Do You Not Acknowledge These Training Camps? Yet, You Label These Citizens As Terrorists? Are You A Member Of The Muslim Brotherhood? “We believe this is proof that the financing of the presidency of Barack Hussein Obama began back in the early 1980′s, and that he sits in that office now to do the bidding of his Muslim masters. Let’s start with the Iranian woman – the most powerful person in the Obama administration – who is rumored to be the one actually pulling the strings in the White House. Valerie Bowman Jarrett is a Senior Advisor to the President of the United States and Assistant to the President for Public Engagement and Intergovernmental Affairs in the Obama administration. She was born in Iran in 1956. White House insiders call her “the one who must not be challenged“. It is whispered that she is the one calling the shots behind closed doors, that she and not Obama is setting policy and issuing orders. Before you run away crying “conspiracy theory!”, you need to read about what her father-in-law said in an article that dates back to 1979, the start of Obama’s college days. You will learn about why she retains such sway and influence in the Obama Administration. You will also learn about Khalid Mansour, and how he used Muslim money to pay for Obama’s education at Harvard Law school. How Muslim Money Financed The Obama Presidency from Now The End Begins on Vimeo. The reason why you will not see these things in the main stream media is because they have conspired toremain silent about Obama’s college days, where the money came from, the fact that he was an exchange student from Indonesia, and the list goes on. 2. the advancement of Islam in America. Interestingly, in context with the fact that this article was written by her father-in-law, Valerie Jarrett has an unusual amount of influence over Obama (along with personal security that may be even better than his, another unusual and intriguing bit of business here). And equally interesting is that Obama, who may have been a beneficiary of this Muslim money, and may now be in this Muslim debt, has aggressively pursued both of the Muslim agendas I cited above. And, also equally interesting, is that Obama has paid a king’s ransom for court ordered seals of any such records of this potential financing of his college education, and perhaps, of other of his expenses. Why has no one in the corrupt main stream media reported on this newspaper article from 1979? Lastly, it’s very important to note that the main source for the article is Khalid Mansour, “the same lawyer who allegedly helped arrange for the entrance of Barack Obama into Harvard Law School in 1988.”(Valerie Jarrett, by the way, was born in Iran. The one country protected by Obama from the sweep of the Arab Spring.) Now all of this may seem sensational, but let’s face facts. What makes it most disturbing is that not only is it all logical, but it suddenly makes a lot of previously confusing things make perfect sense. The column itself had appeared in the St. Petersburg (Fla.) Evening Independent of Nov. 6, but it was the work of a veteran newspaperman who at the time was working for the prestigious Chicago Tribune and whose work was syndicated nationally. Well, if anyone would know, it would have been this lawyer — Donald Warden, who had helped defend OPEC in an antitrust suit that year and had developed significant ties with the Saudi royal family since becoming a Muslim and taking the name Khalid Abdullah Tariq al-Mansour. 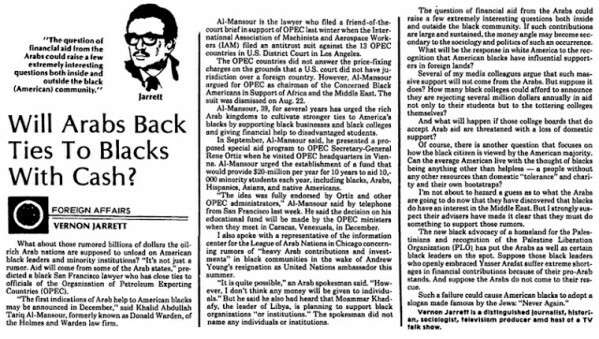 Al-Mansour told Jarrett that he had presented the “proposed special aid program to OPEC Secretary-General Rene Ortiz” in September 1979, and that “the first indications of Arab help to American blacks may be announced in December.” Maybe so, but I looked high and wide in newspapers in 1979 and 1980 for any other stories about this aid package funded by OPEC and never found it verified. You would think that a program to spend “$20 million per year for 10 years to aid 10,000 minority students each year, including blacks, Arabs, Hispanics, Asians and native Americans” would be referred to somewhere other than one obscure 1979 column, but I haven’t found any other word of it. Maybe the funding materialized, maybe it didn’t but what’s particularly noteworthy is that this black Islamic lawyer who “for several years [had] urged the rich Arab kingdoms to cultivate stronger ties to America’s blacks by supporting black businesses and black colleges and giving financial help to disadvantaged students” was also the same lawyer who allegedly helped arrange for the entrance of Barack Obama into Harvard Law School in 1988. This peculiar revelation engendered a small hubbub in 2008, but was quickly dismissed by the Obama campaign as the ditherings of a senile old man. I don’t believe President Obama himself ever denied the story personally, and no one has explained how Sutton came up with this elaborate story about Khalid al-Mansour if it had no basis in fact, and in any case al-Mansour no longer denies it. And to anyone who has the modicum of a spark of curiosity, it is surely intriguing that Frank Davis took an active role in the rearing of young Barack from the age of 10 until he turned 18 and left Hawaii for his first year of college at Occidental College in Los Angeles.